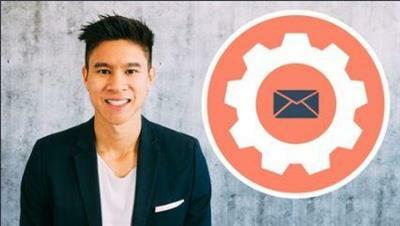 Lead Generation Machine Cold Email B2B Sales Master Course | Free eBooks Download - EBOOKEE! Posted on 2018-09-07, by voska89. You might be offering an amazing product or service...but getting your foot in the door to schedule that first meeting with your dream clients is usually the hardest part. Fortunately, there is a PROVEN method top sales people and entrepreneurs having been using to schedule appointments with their dream clients for years, and it's called COLD EMAILING. Now cold emails are, easily and decisively, one of the most effective ways for an individual or business to develop a business relationship with another company. Email is so pervasive in our everyday lives, and will continue to be the overwhelmingly dominant form of communication to do business in as time goes on. Not a day goes by where you, or someone around you, doesn't check their email. As a sales person or an entrepreneur, this is a powerful concept. For most people, whether they're sales people, freelancers, consultants, or entrepreneurs, they spend hours of their personal time writing and sending poorly written emails that get ZERO RESPONSES...and eventually give up thinking cold emails don't work. Here's the good news: this failure is an OPPORTUNITY for YOU. As long as you use our PROVEN LEAD GENERATION COLD EMAIL MACHINE (which I'll show you how to do step by step), you can get a meeting with ANYONE. When and how to follow up to people who "play hard to get"
How to handle objections like "we don't have the budget"
This course will teach you EVERYTHING you need to know to get a meeting with ANYONE whether you've tried cold emailing before or you're just getting started. I've personally tested all these bullet proof email strategies myself with small, medium, and Fortune 500 companies in all types of industries like retail, real estate, health care, etc. as one the TOP sales people at Oracle and Y-Combinator backed startup, Lob. 2017-10-20[PDF] Power Prospecting: Cold Calling Strategies For Modern Day Sales People - Build a B2B Pipeline. Teleprospecting, Lead Generation, Referrals, Executive Networking. Improve Selling Skills. No comments for "Lead Generation Machine Cold Email B2B Sales Master Course".